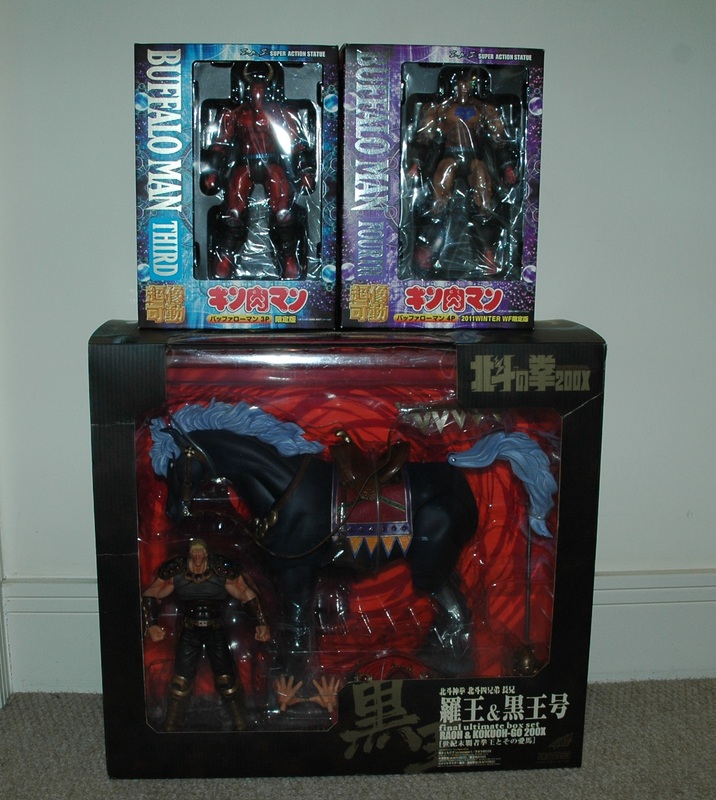 Got my figures last week as a delayed birthday gift. Haven't opened the boxes yet (busy, busy, busy) but I do like how they look in person! Got them from CDJapan, both were reasonably priced there. Usually a good place to get SH Figuarts before they sell out for a good price. All in all, can't wait for Robin Mask and Neptuneman in June! 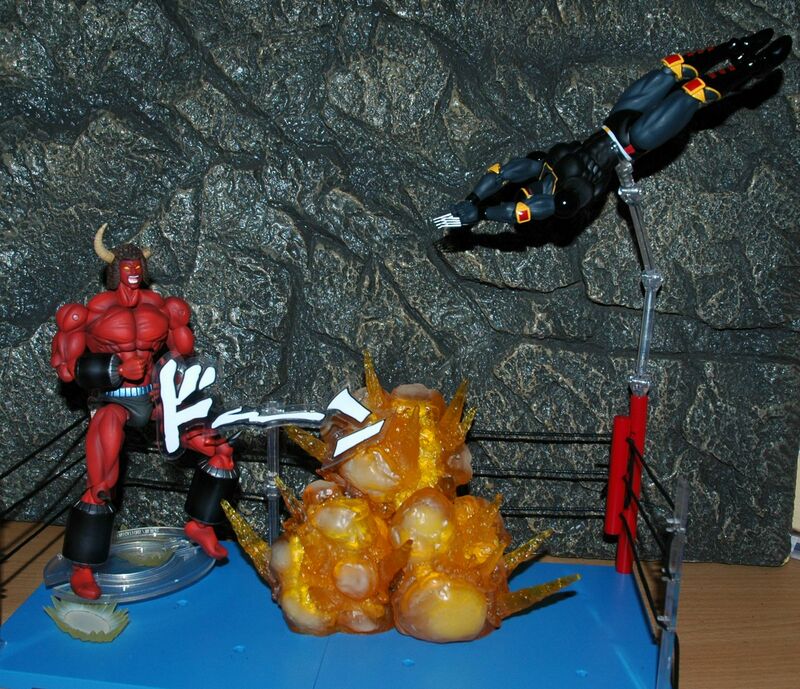 Akuma Shogun confirmed for September release!! Looks awesome! I can't wait!! 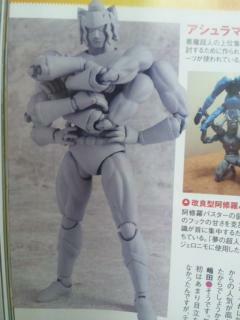 I really cannot believe Bandai is working on a figure this complex, but I couldn't be happier. It makes it all the more important that I do somehow track down Warsman. OMG!! Asuraman!! This is turning into an epic line!! Also! Today's monster haul celebrating the Golden Era of Jump!! Been hunting these gems for a long time!! Found Buffaloman Third & Fourth dirt cheap on an mbok auction!! Super stoked!! Pretty crappy photo's, but was in a rush!! Pre orders should be starting on May 1st. for Akuma Shogun. Had more time to display my glorious Buffaloman figures!! We're so close to having Robin Mask & Naptuneman!! I can't wait! Edited by Kanji, 29 April 2015 - 08:43 AM. 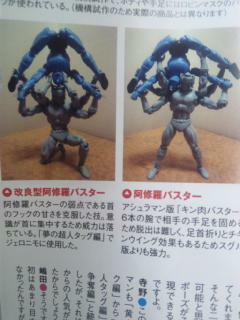 If anyone has seen the Figure King mag where the proto type Ashuraman is shown, below that photo, is a photo of a prototype Kinnikuman Great figure on that page. For S.H. 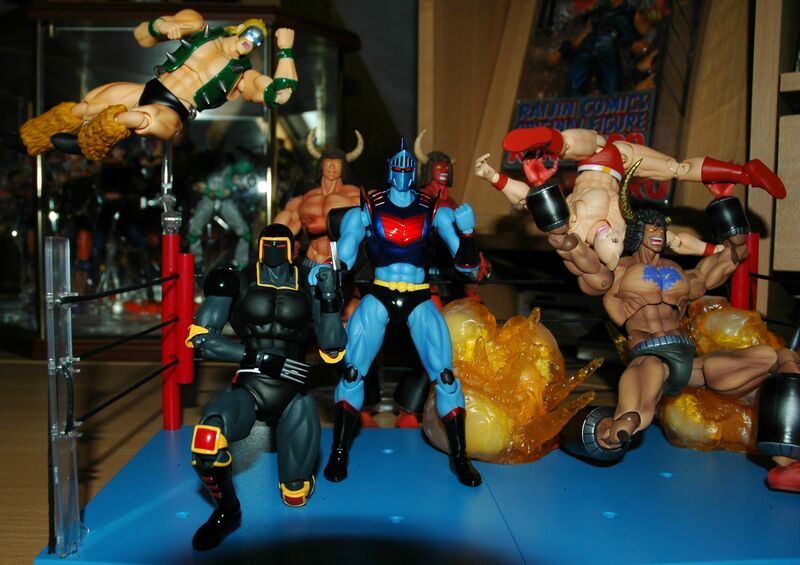 Figuarts spending two years of R&D to create new material for the Kinnikuman line, they should be releasing a lot more characters. Nice!! Thanks for the share!! Just added to MFC! Question now is, will he be Black or Red??? Edited by Kanji, 05 May 2015 - 02:02 AM. Yeah, I was in the same boat!! left it since he's not out for 4 months and found he was sold out on both amiami and CDJapan. I've been visiting CDJ ever day to check, and as luck would have it 1 came back up so I snagged it last week!! I would continue to check both CDJ and Amiami as they occasionaly put more pre-order stock back up. 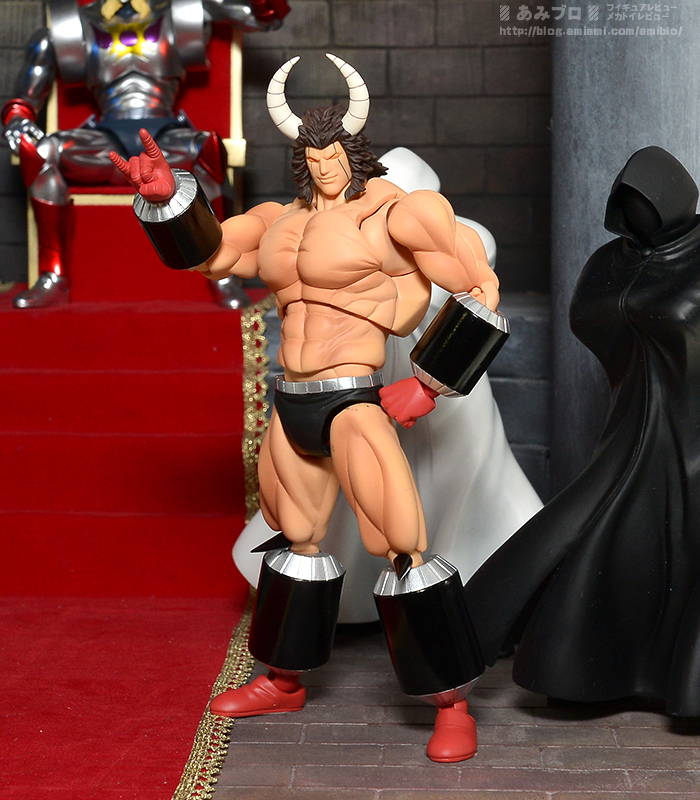 A little bummed we are getting a Buffaloman soo soon after I dropped 20K yen buying the 4 SAS versions, but I mustn't grumble.....they are great figures and you can never have too many Buffalomen!!! Edited by Kanji, 29 May 2015 - 03:39 AM. I grabbed one of these. Not as big as I thought. Haven't opened it yet. Buffaloman looks pretty great. Arm and leg gauntlets look a tad large though. Still, excited to see that he's likely the next to be solicited and released. I would love a Figuarts Sunshine. That would be amazing. Edited by MEGATRON, 29 May 2015 - 12:52 PM. Once Bandai does something about the weird way those lower legs look on Buffaloman, that thing should be an excellent figure. We'll have to see how soon after this reveal he actually goes up for preorder. 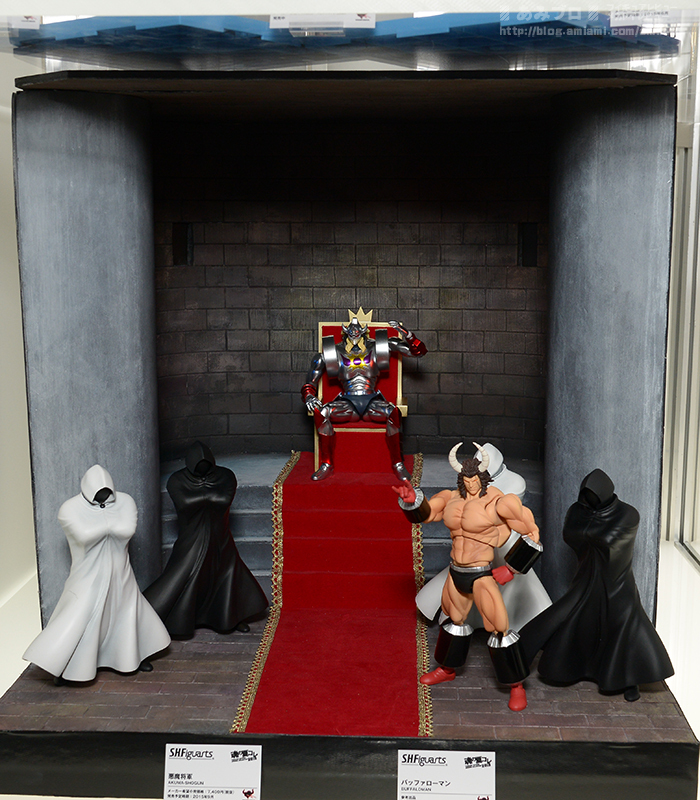 There were certainly revisions that took place between Akuma Shogun's first reveal and when official product photos dropped. 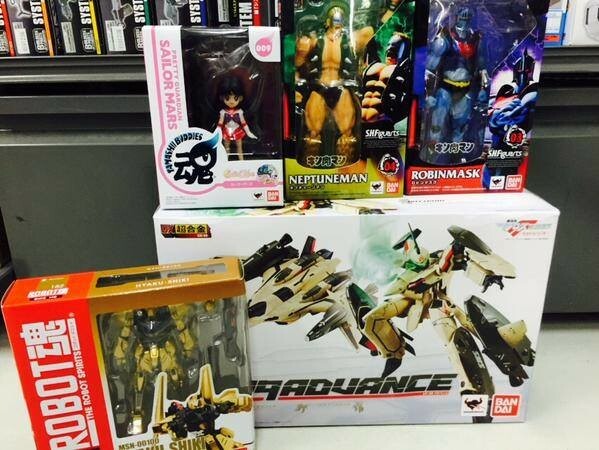 Asuraman and Great haven't necessarily been forgotten and might even go up for preorder before Buffaloman. We'll have to wait and see for sure, but I could totally see the extra headaches in engineering that many arms holding Asuraman back a little. Which is fine, a simple release like Black Hole could help fill in some gaps, assuming he's not ditched. It's been a while since I have posted but felt I needed to post because of all the Figuarts goodness! 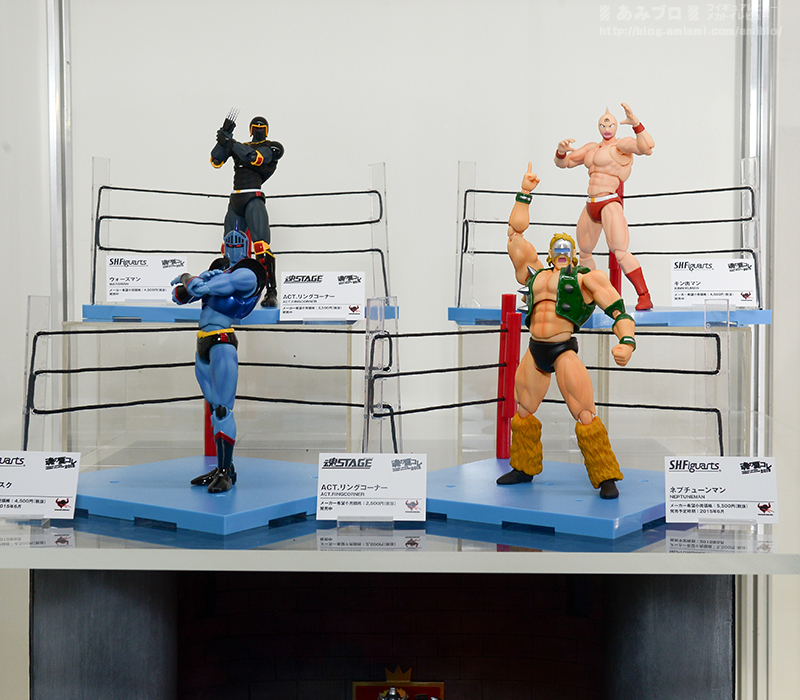 I always love coming to the forum and seeing what new things are in development for the SH Figuarts Kinnikuman line as well as for the Revoltechs! XD. Was there a proposed release date for Buffaloman? 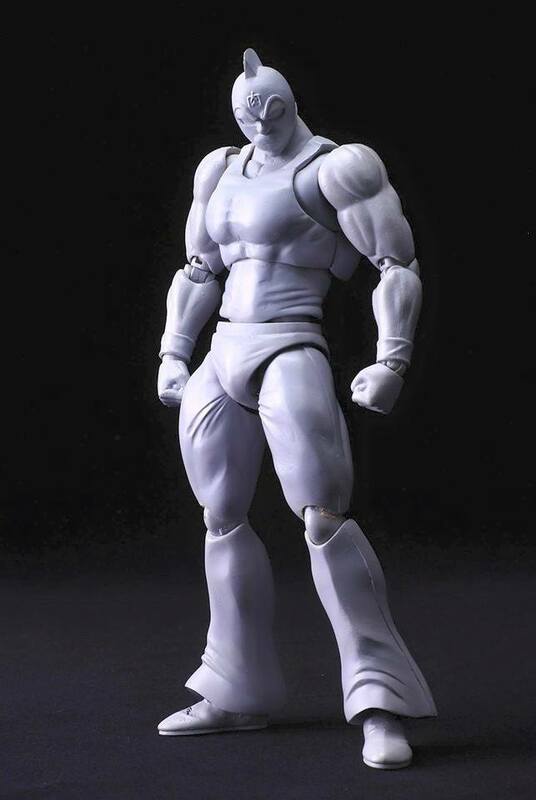 I can't wait to get the Figuarts version of him even though I have the Medicos Kinnikuman SASs I like the affordability of the Bandai ones, although I will admit the SASs feel a bit more sturdy to play with. I would love to see bigger characters made like Mammothman, Big the Budo, or The Mountain along with Sunshine! Ooh! Maybe even a Pentagon to go with Black Hole! Edited by darkhadou316, 31 May 2015 - 12:16 AM. Buffaloman had no release date yet, if you squint at the wider shot you can see where it would be listed on his card but isn't. No word on what else is coming and we don't even have a Black Hole that isn't one of the display's cloaked bodies yet, just the prototypes and hints that we have seen already and the character poll as a possible guide on what Bandai will focus on. Nisei anything doesn't look to be in the cards thus far. Got my Robin Mask and Neptuneman.........really didn't have time to display them, need to sit down for a good hour and come up with something good..............reading/watching the Dream Chojin Tag Arc at the moment, so perfect timing really!!! What would you rate the Neptuneman and Robin mask and any updates on the line?